Gourmet food store in Aurora. 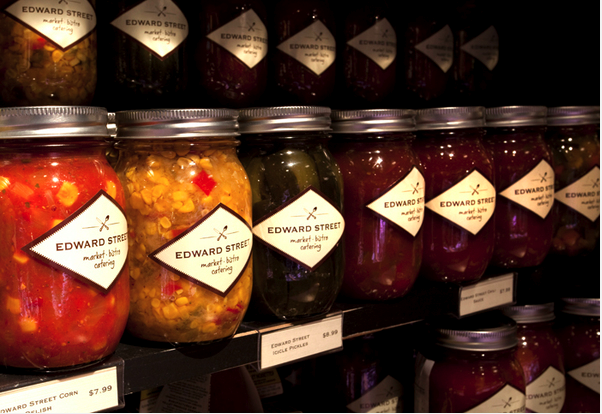 Built to become a culinary hub in the picturesque town of Aurora, Edward Street Market Bistro quickly turned into a success story. We started the brand inception from a literal hole in the ground as we watched the the building being erected. 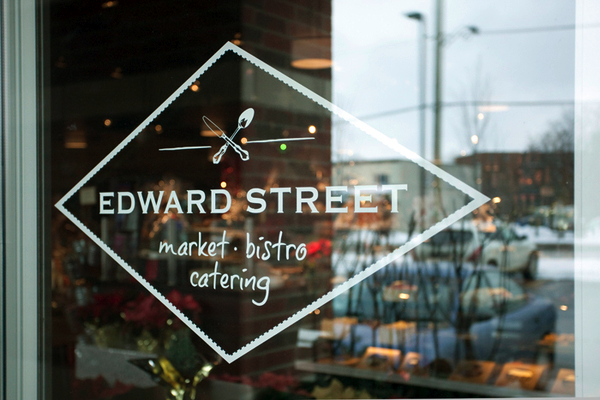 Edward Street Bistro was built with detailed focus on service and product offering – catering to their customers’ every need. We echoed this focus in our brand development, from store windows to shopping cart handles, business cards to napkins. We made sure that the whole was far greater than the sum of its parts.